I sat down this afternoon, determined to make one card for Time out AND this week's Muse challenge. It should have worked. But it didn't. The good news is that I now have two pretty cards (I will post the Muse card on Saturday). Those water colour wild flowers stamps are just gorgeous. Very delicate card and the idea with the sentiment works beautifully. 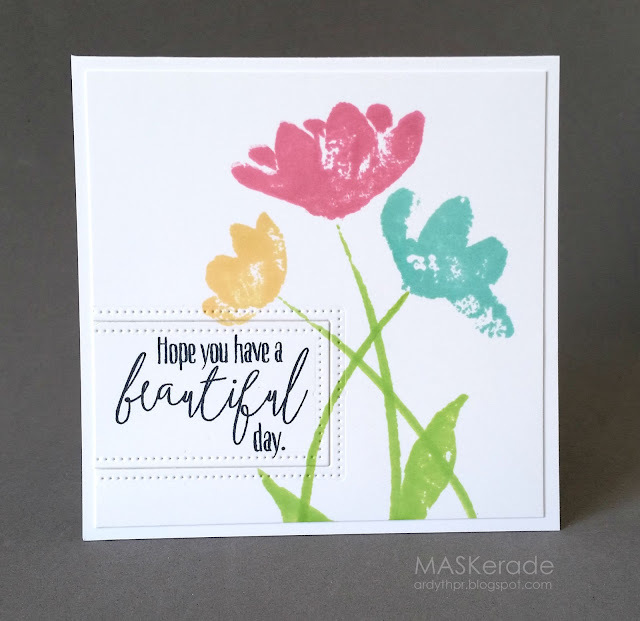 Love tthe flowers you have used for this card. They are so pretty, colours are great too. Ardyth a very beautiful card, those flowers are so pretty and I didn't notice the green until you said it! I love that new technique and your new WPlus9! Gorgeous colors - perfect for the abstract flower images! GREAT three sided sentiment block - such a cool idea! I am in love...this is absolutely fabulous Ardyth. So glad you could play with us at Time Out! 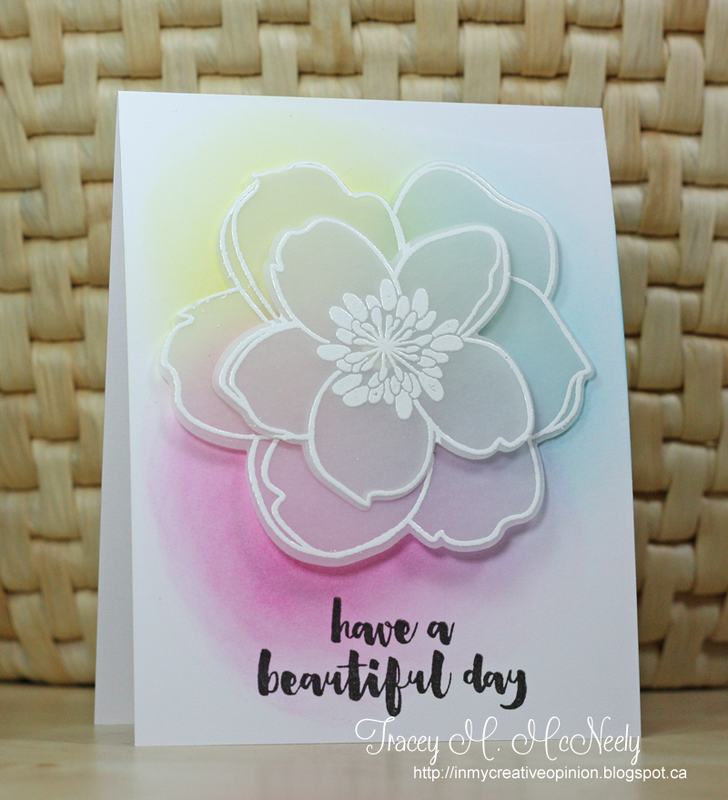 Gorgeous flowers, and I love how you have emphasized the sentiment with your embossing/die cutting. I must have missed that video, but it is a great technique. Thanks so much for playing along at Time Out. 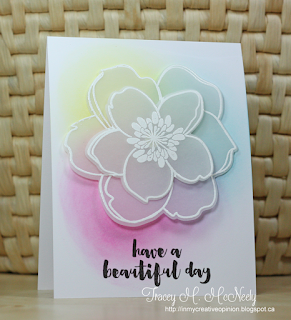 Ardyth, this is so pretty and just love the way you stamped the flowers and leaves. And I must go and find the video you watched about the three-sided die-cutting, I'm very intrigued (and its looks so cool!). Always so very happy to see you at TIME OUT too! !